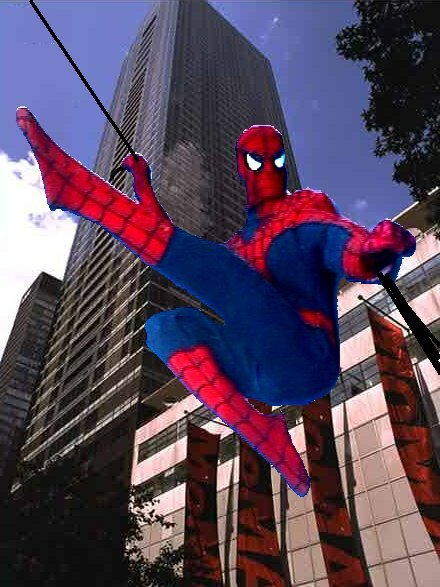 "Peter Parker, The Spectacular Spider-Man"
Spider-Man in action over New York. 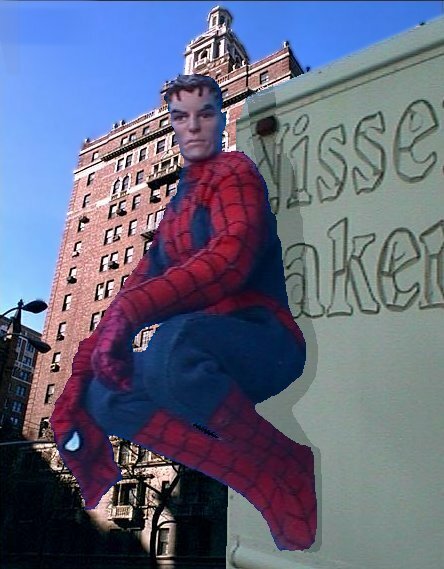 But he's also Peter Parker. 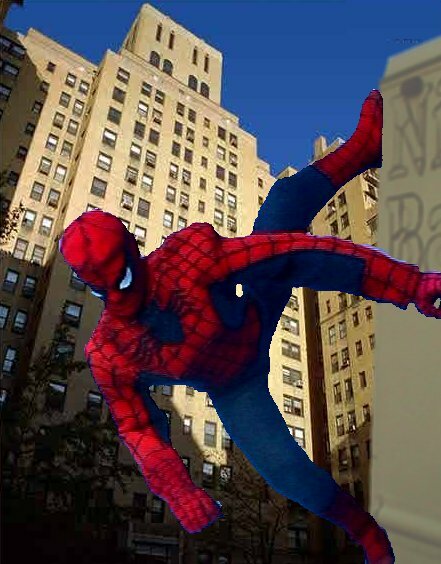 Tired and weary after battle, Parker grabs a breath of fresh air before donning his mask again, and heading home. The head is from an "Ultra Force 12" figure. Mask and gloves custom-made first drafts. They'll be re-done. Body is a 21st Century Toys "Super Soldier" figure. 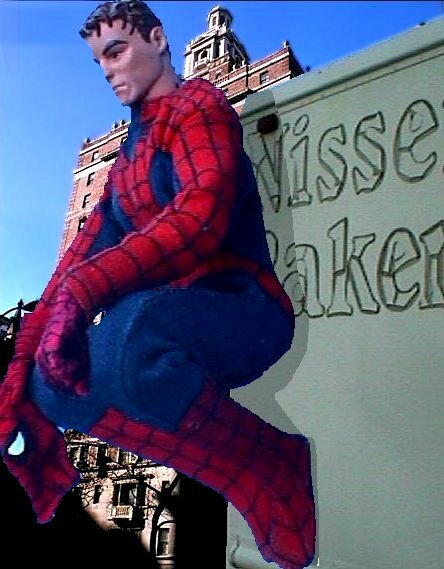 Costume from a 12" Mego Spider-Man.